Who says that zebras can't change their stripes?! 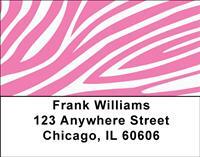 These bold zebra prints are colorful and intriguing and will add lots of pizazz and style to your personal checks. With four rotating images, each check you write will be different from the one before it, too, giving your checkbook even more style!